Beloved Wives Day today (husbands in China must shout out declarations of love to their wives). 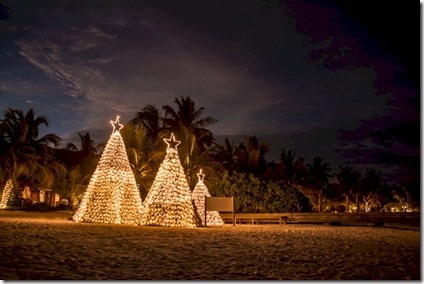 And I am taking my beloved wife, Lori, for a quick escape from English wind, rain and cold. Down to the French Riviera for some friends’ New Years celebration and a quick stay in Monaco. 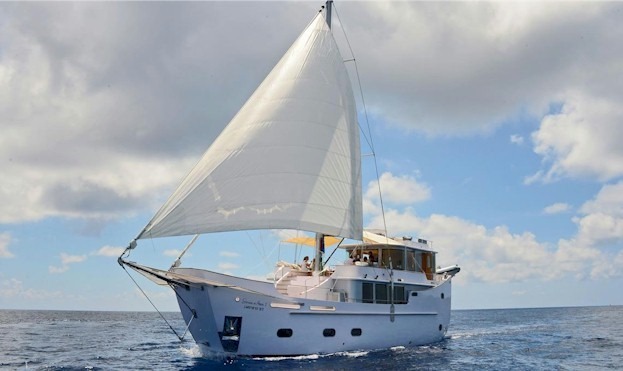 The sunny Med shores have made them a magnet for yachts from all over the world. One yacht that won’t be straying quite that far from home is Soneva Fushi’s new concept “suite” – “Soneva In Aqua”. 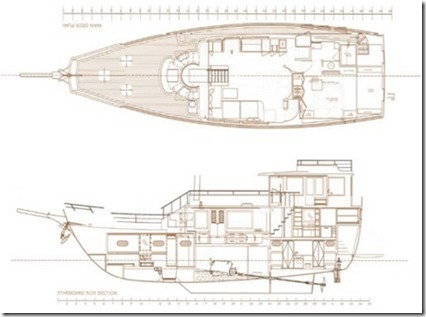 A sort of mobile “water villa”. 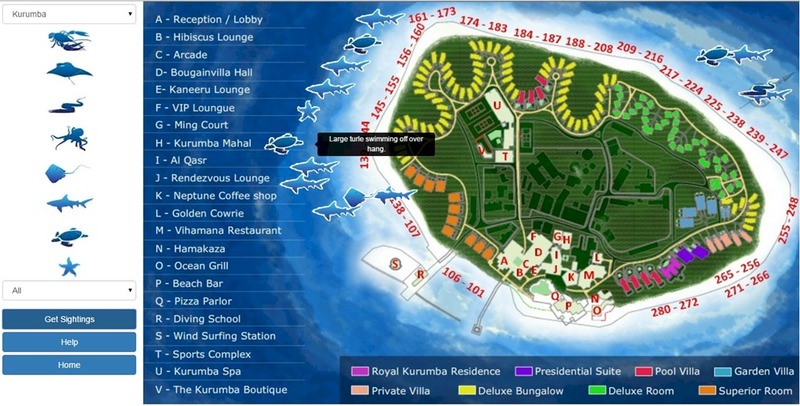 Great to see this concept revised every since the demise of The Rania Experience and Dhoni Island. Of course, the resort will provide the crew you need. 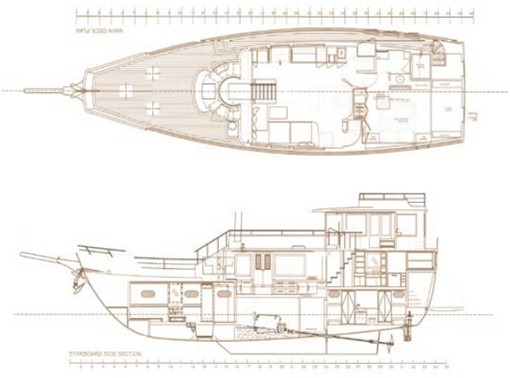 Not the only boat villa in the Maldives (eg. 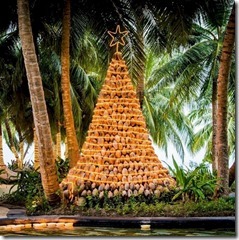 Conrad Rangali’s “Goma”, LUX Maldives “Kokomo”), but the distinctive in its modern styling and spacious accommodation..
LORI, MY LOVE FOR YOU IS AS WARM AS THE MALDIVIAN OCEAN BREEZES AND MY PASSION AS HOT AS ITS TROPICAL SUN!! 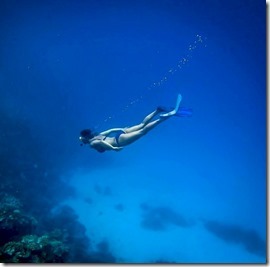 A guide for snorkelling, a guide during snorkelling and now a guide to snorkelling. Use a Flotation Aid – Especially if you are a weaker swimmer (either in technique, experience or fitness), consider one of the range of floatation devices available. Everything from a proper lifejacket to a simple float like a foam noodle. 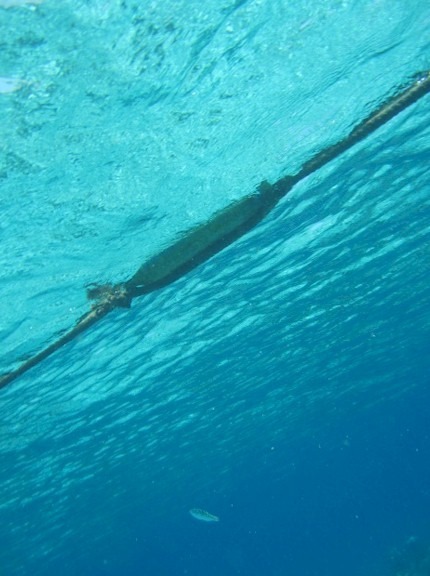 By providing extra buoyancy, the aid can reduce the effort in floating. However, don’t let the device seduce you into undertaking more than you are capable of even with the aid and always snorkel within your limits. 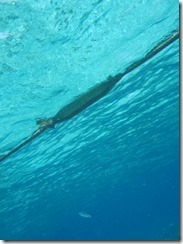 Use a Snorkeling Guide – Nearly all resorts and dive centres will provide a personal guide for you. 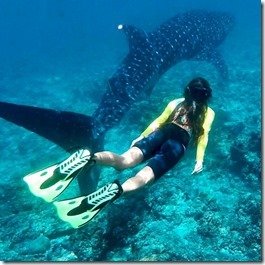 If you go on a snorkel safari, then they are almost always included as part of the excursion. But you can request someone to join you for your foray onto the house reef too. 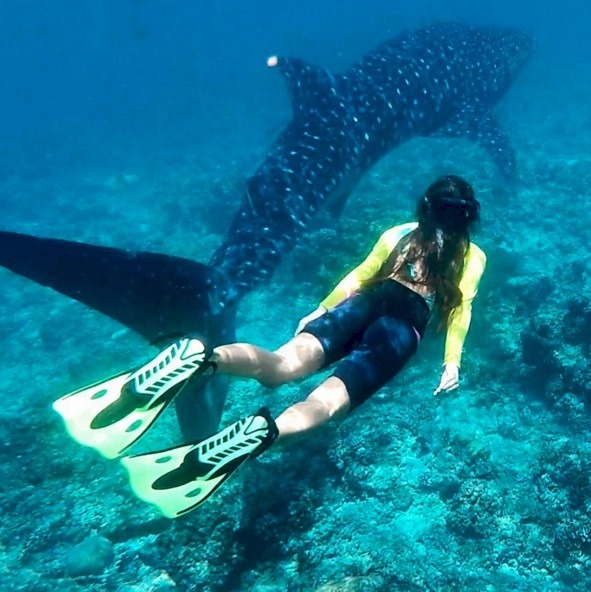 Not only will this provide an accomplished snorkeler to accompany you and make it safer for you (again, if you are a ‘weaker’ snorkeler, I recommended an accompanying guide even more emphatically), but also the guide will help you spot the good stuff. They will know where critters tend to frequent and will have trained eyes for spotting many things you will likely overlook. Don’t Touch – Don’t touch anything. This is for your own safety as otherwise innocuous marine life can hurt you with a bite or a sting if you reach out to touch it. Also, be extra careful of what your fins touch. 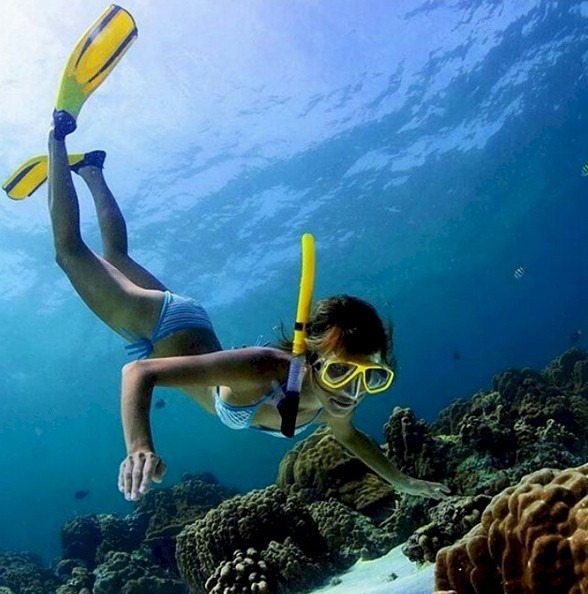 Being an extension of your body that you are not used to and having no sensation, people very often kick coral inadvertently and cause massive damage over time. 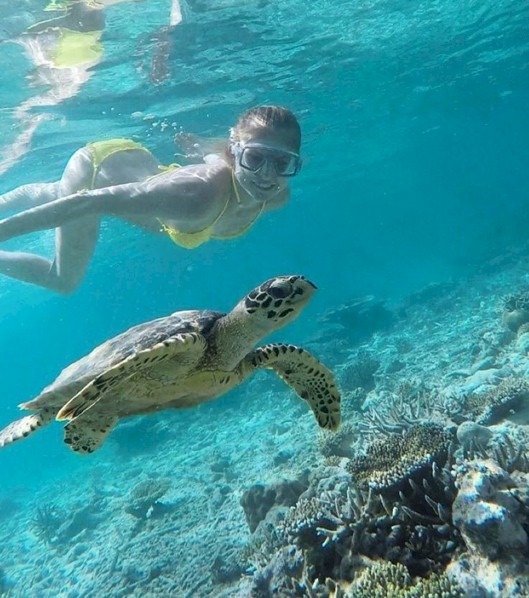 Given the focus I have on snorkelling at Maldives Complete, I’ve upgraded “Snorkeling” to its very own main category on the blog. 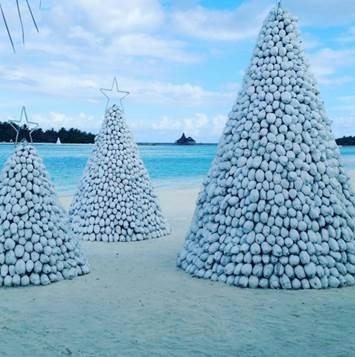 Santa left Maldives Complete a big present under the code tree this Christmas – a completely re-platformed “Snorkel Spotter”. An added bonus is that now you can log your Snorkel Spottings with your iPhone or iPad as these are now supported with the Safari browser. As I mentioned recently, while I started out on an almost ‘completely’ Microsoft platform (due to where I was working at the time), the Microsoft strategy and execution in the Internet arena has been unfortunately pretty dire. Technologies it heralded as the next big thing were often discarded. The latest casualty of their myopia has been Silverlight. I built the Snorkel Spotter dynamic control on this platform as it was hailed to be the latest thing for web interactivity. Unfortunately, neither I (still subscribed to too many Microsoft kool-aid newsletters) nor Microsoft saw HTML5 coming down the pike. From the outset, Silverlight was an aggravation for users who increasingly were using non-Internet Explorer (IE) browsers which required a fairly complex installation of a special plug-in to get the Spotter to work. And last year, Google’s Chrome, the most popular browser of all, stopped support for Silverlight all together (even a plug-in wouldn’t work). So, prospective “Spotters” had to find a machine with IE or try to install it themselves (and often companies like resorts look down their computers and don’t let staff install whatever programmes they fancy, especially those downloaded from the Internet). Enough was enough and I decided to move to the new de facto standard for interactivity – HTML5. Unfortunately, I had a few other projects in the queue (eg. WordPress Migration, Beauty Base launch). And once spec’ed, it took a while to code and implement. Hats off to .Net developer Tapesh M. from Ahmedabad, India who did the actually code migration for me. Microsoft has been woefully remiss in providing any migration tools or even guidance on moving from Silverlight for HTML5 (I spent a month researching it). Anyone faced with this problem should get in touch with Tapesh. He does brilliant work. The migration has also given me a chance to clean up a few glitches and update some of the data and maps in the Spotter. I hope that the work makes the tool all the more fun and useful for everyone. 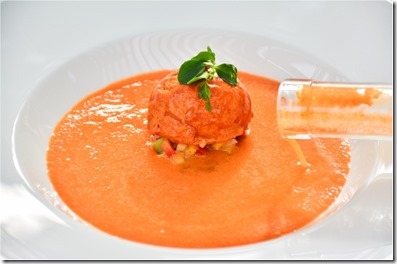 QI question of the day: Q: What is the base ingredient of gazpacho at Velaa? A: Tomato? Q: Buzzz…wrong. It’s cabbage. Velaa not only served two of my favourite soups – gazpacho and bisque – but they did so with an entirely refreshing slant. In many respects, they were nothing like gazpacho and bisque and everything like them at the same time. 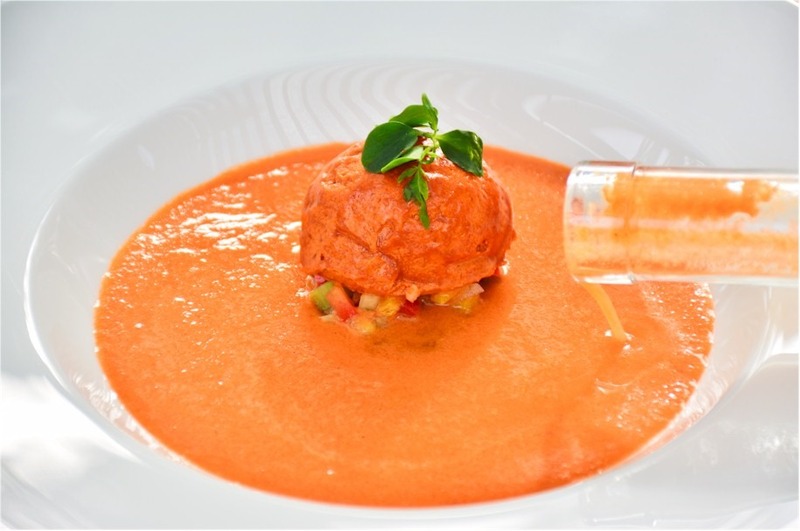 For starters (pun intended) the gazpacho had no tomato (pretty much the defining ingredient to gazpacho – “Spanish Cookery. 1. a soup made of chopped tomatoes…”). Instead, it uses red cabbage as the base. It also blend in green apple and passion fruit which is a bit more exotic than the classic cucumbers and onions. Their “Laccadivian Essence” (named after the Maldives sea) was really a bisque of lobster, coconut, fennel, and seaweed. Both were Michelin star quality. They were sort of non-bisque bisque and non-gazpacho gazpacho. The inventive twists reminded me of the food-play by Heston Blumenthal at his world-famous restaurant the “Fat Duck”. Just down the road from us in the UK, we used to go when Heston first started playing with his culinary chemistry set. We were sometimes the only people dining there and he would step out of the kitchen to have us try some wonderfully weird new concoction. 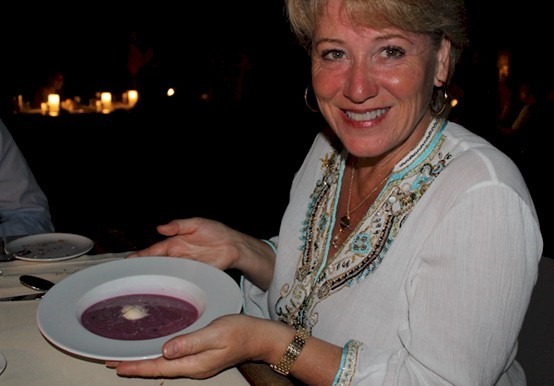 In fact, Velaa’s gazpacho might just have been inspired by Heston as Red Cabbage Gazpacho also featured is on his menu years ago. No, not “Ice Ball” as in a “Frozen”-themed formal dance. I love creations with ice. The cold is the contrast that sets off the tropical sun. I’m even adding a new category tag for “ice” now that I have collected a few fine examples. 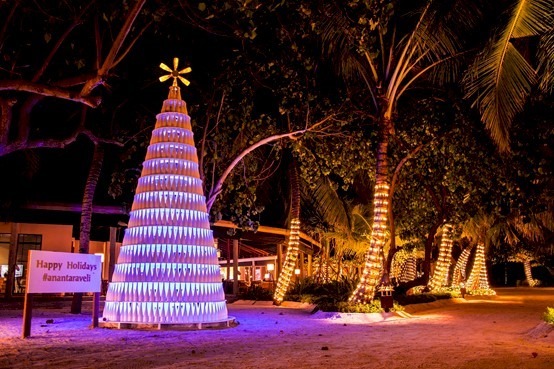 Most treats in the Maldives are served refreshingly over ice. 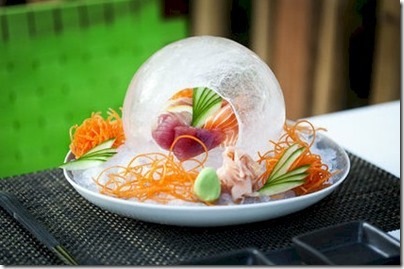 But NIYAMA’s signature sashimi is served under ice. 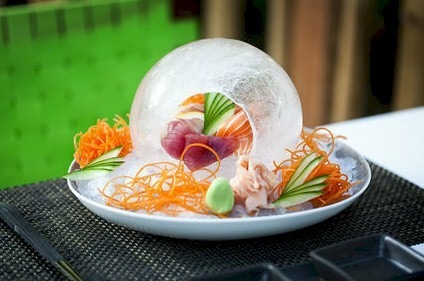 Offered in NIYAMA’s “Asian Avant-garde” Nest restaurant which Per Aquum describes as “savage-chic” (great name). “Leaves dance in ecstatic shimmy” – Nnnn-ice! One of the highlights of our summer tour this year was a pageant of a different sort. Less appealing to the sense of vision and more enticing the other senses of smell, taste and texture feel. The first ever “Pina Colada Off”. 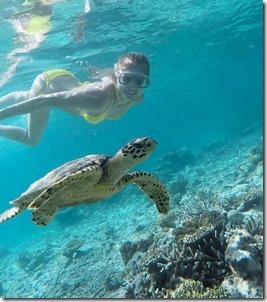 When I tour the Maldives, there are a few non-negotiables in the itinerary. I must get a shot of us in front of the resort sign. I must snorkel every house reef (I’ve even jumped in during a few quite rough seas at times just to get a look at the seascape below). And I must sample the resort’s pina colada. The pina colada is the iconic tropical drink. And like port with cigars and cards, or schnaps on the ski slopes, there is something that makes it irresistible in this setting. I rarely have pina coladas outside the Maldives (and when I do, it never tastes as good). For me, the pina colada is a very useful acid test for a resort. It is complex enough that there are quite a range of possibilities in both style and quantity (more on the pina colada drink itself in a future post). 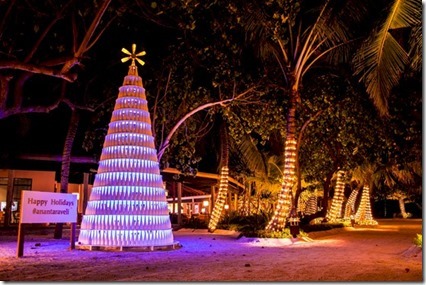 I started including my “Pina Colada Test” assessments as a part of the Tour highlights reports posted on the TripAdvisor Maldives Forum. And frequent Forum Contributor, GM Jason Kruse, felt that the gauntlet had been laid down and he was not going to take this colada challenging lying down (even if it was on a lying down on a deck chair under the tropical sun with the water lapping inches away). 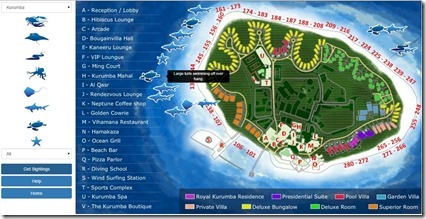 This virtual drinks derby was a point of pride for Kurumba. 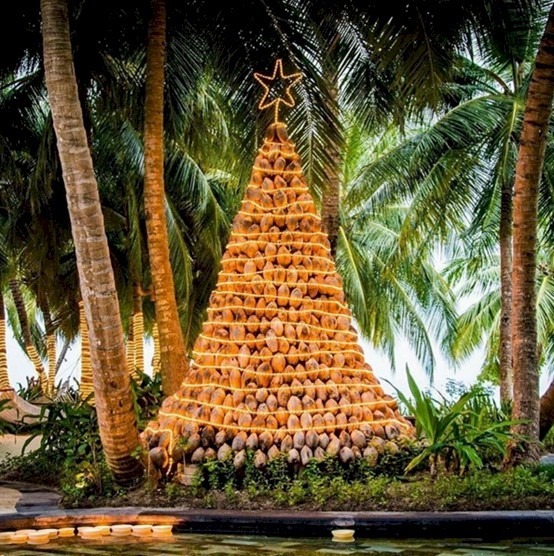 The resort whose very name embodies the coconut essence of the colada. 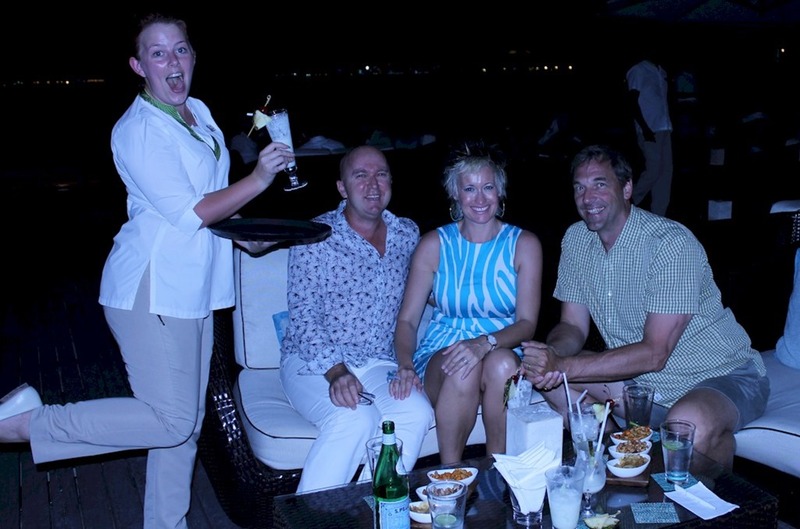 So Jason’s Beverage Manager Courtney Hendrick (far right picture above) organised the first ever “Pina Colada Off” for out visit and served as our effervescent mistress of ceremonies. And a lavish affair it was. 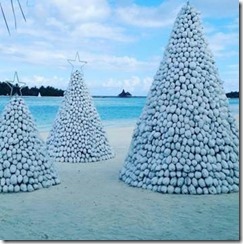 In all my years as a pina colada aficionado, I have never experienced such imaginative and well-crafted coconut cocktails. The judging was intense with Craig Revel Horwood levels of scrutiny and discernment. Bandara won “Best All Arounder” (he prides himself on his pina colada). Rohan’s was the “Coldest” (a criteria as important to me as heel leads are to Len Goodman), and Oliver was the “Most Inventive” (always an exceptional kudo here on Maldives Complete). 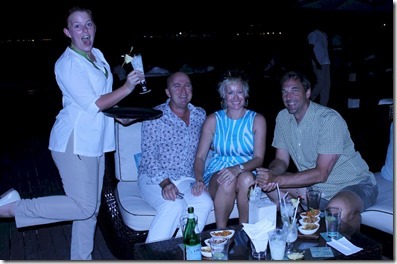 I think they are all definitely contenders for some of the top pina coladas in the Maldives. Not sure I have enough data points to crown any of theirs the absolutely #1 (also, an amazing one I had at Constance Halaveli haunts me). But their inventiveness and variations on the theme is unmatched completely. Bandara’s: Athiri Bar Supervisor and Pina Colada Extraordinaire!!! Ingredients: 30mls Coconut cream, 30mls Monin Coconut Puree, 30mls Malibu, 30mls Appleton’s White Rum, 90mls Pineapple juice (half fresh half concentrate). Method: Blend all ingredients without ice in a blender, FILL Pocco Grande glass with large cubes of ice and pour over. Garnish: Slice of pineapple and a cherry. Ingredients: 5x Cubes fresh pineapple, 30mls Coconut cream, 3x Ice cream scoops of house-made Coconut Sorbet, 30mls Malibu, 30mls Appleton’s White Rum, 30mls Monin Coconut Puree. Method: Blend pineapple chunks in a blender to create a finer texture. Add all other ingredients without ice to the blender and blend for 1 minute. FILL Pilsner glass and garnish. Rohan’s: Long standing Bartender and Shaker Extraordinaire. Method: Muddle 10grms of pineapple in a Boston glass. Add all remaining ingredients to the shaker, shake and strain over ice in a Highball glass.